This month’s winner was user Gb1234 who chose Macmillan Cancer Support. £13.82 donated. My personal win this month was a considerable quantity of wine. Most of these were £1.99 or £2.29. 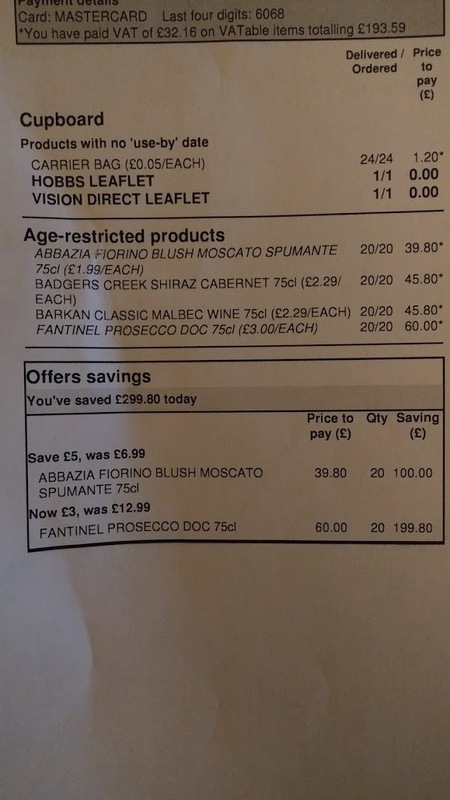 The Prosecco was £3, down from £12.99. 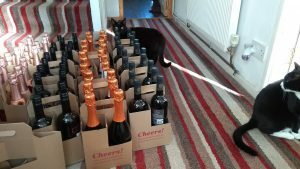 There are 80 bottles in all, but with the BBQ season coming, the sparkling stuff will go down quickly. I have begun working on a US version of dealferret. Currently under a clumsy domain of us.dealferret.uk, I will have to find it a more suitable home. It is still processing the initial few stores and it has very limited price history. Stores like Walmart have 1.3 million items. This takes a while to process. The site is hosted on a Scaleway server which had 50GB of disk space. This was the lowest end box I could find, and in the last few months it really wasn’t enough. Several times the server ran out of space and I was surprised the databases managed to survive without being corrupted.I recently migrated to a server double the size, which was relatively easy thanks to Scaleway’s system. Unfortunately, this is not enough as we are already using 90% of storage on the new disk. The UK version monitors 3.5million products and the US version already monitors 3.2million. The next step may be to move to an ARM system. There may be a random couple hours of disruption some time in the future. Lastly, you can now get the ferreted deals on twitter. My name is Abi and I’m a reporter at Cambridge News. A reader has got in touch with us about you because she thinks you’re brilliant and would like to learn more about what you do! Would it be okay for me to give you a call at some stage tomorrow so we can have a chat? I’d love to write a story about the blog and how you go about hunting down the bargains.